Now in my sixth year as a virtual office assistant and going from strength to strength with clients that have been with me since inception and very happy with the work completed, see the testimonials received to date. 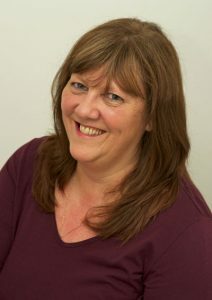 With a background of over 30 years’ working in large corporations, from filing clerk to Senior Manager, I have gained extensive knowledge and experience in all aspects of office administration work which means I can offer a full range of administration support on a freelance and virtual basis. I can be flexible to your needs whilst offering a professional, reliable and affordable alternative to employing full or part-time staff. I am also an ICB bookkeeper which means I am qualified to assist with all your bookkeeping needs either manual or computer based. Based in Lancing, near Worthing in West Sussex the service incorporates all of the following roles in one package; virtual assistant, personal assistant, secretarial services, bookkeeping, database maintenance, customer services, front and back office support. I look forward to hearing from you, please use the contact form on this site, email me direct at clarereadman@hotmail.com or call me on 01903 367 426 to discuss your individual requirements.